If you want to use a truly local company which benefits our local economy, then choose us. We are based in Nottinghamshire, and we do not use local numbers which are then diverted to Liverpool, Manchester, Birmingham etc where the company’s are based. We only advertise in our local areas. Regal Fire are a local company with who are CHAS, FPA ,IFSM & FOFATO accreditation which gives our clients peace of mind? We are a based on the Nottinghamshire & Derbyshire border and carry out work in every type of industry , size and location within the two counties. As a business owner, there is a legal obligation to have a Fire Risk Assessment to ensure you have the right type and quantity of extinguishers, plus an up to date fire log book. If you are due for an annual service and are unsure if you have all of the right equipment, simply call us today and we can help you. We are happy to carry out free surveys at your convenience and can also remind you of when your next service visit is due. Image what could happen if you needed a fire extinguisher and it didn’t work? In 2015 there were over 170,000 fires which resulted in 315 deaths. Fire can become out of control very quickly, so having extinguishers available that perform when needed is vital for you and your colleagues, visitors and other people who may be on site. It is also vital that you have staff on site who know how to operate an extinguisher quickly and safely – fire warden/marshal training is another service we offer, click here to see our training page. Contact us today for a very competitive quotation, it’s very quick and simple to give you a price for your extinguisher service or supply with our online form and we can then e-mail you a price. 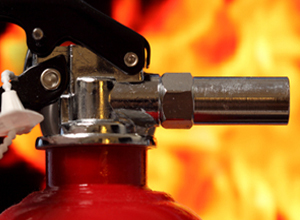 We have been providing extinguisher supply / service / surveys to our valued customers for over 23 years, so you can be rest assured that you will receive a quality service from us, with full qualifications and insurance. There were over 750 prosecutions last year by the HSE and local fire authorities resulting in over 16.5 million pounds worth of fines, Using Regal Fire, you can be confident that we can give you the very best advice to ensure you comply with regulations to avoid unnecessary fines and risks.